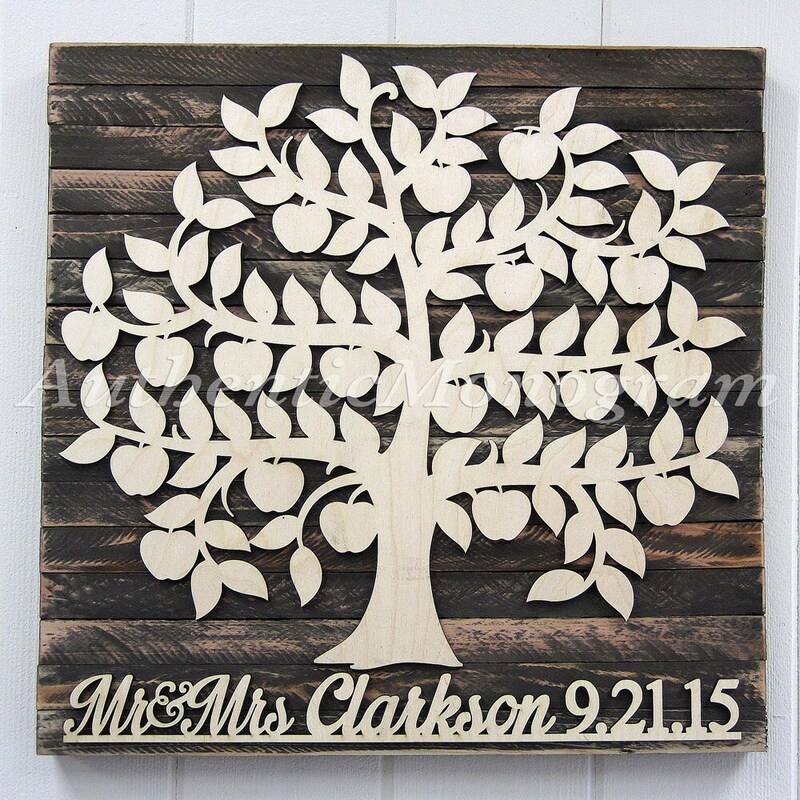 This peace is one of my favorite Weeding Guest book Ideas! 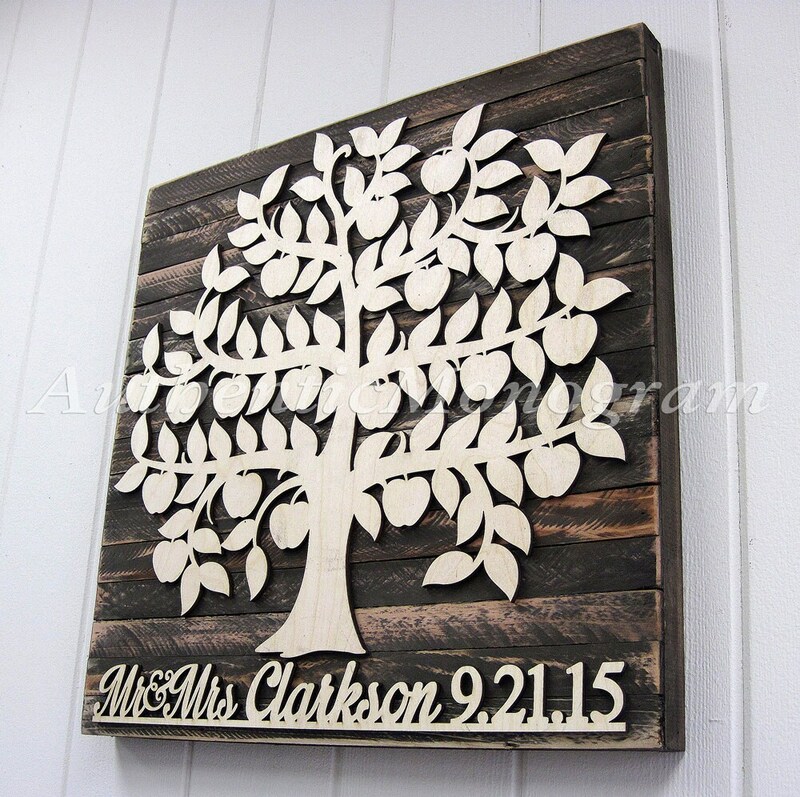 The Tree and the Mr & Mrs Name with Date are Mounted onto a 1" thick rustic board board that has been pieced together and stained by one of the most talented Woodworking artist at my Studio! ✦This times will require up to 7-14 business days for us to complete, and will ship Standard USPS. -If you need a rush, please let me know.